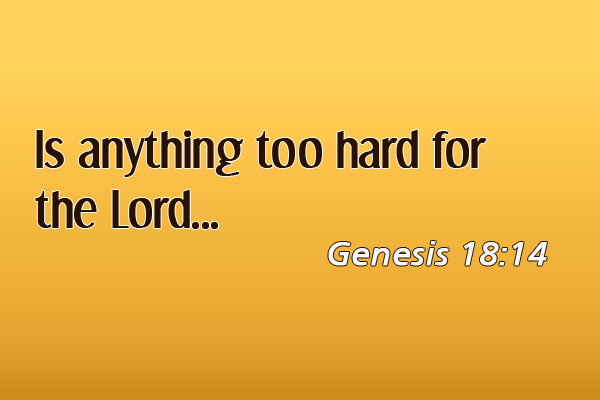 IS ANYTHING TOO HARD FOR THE LORD ? We (Sam & Naveena) were married in the year 2007. We had a miscarriage early on and then the death of a child after 11 days of birth. We sought medical help in diagnosing the problem all the while praying that God would show His mercy on us and bless us with a healthy child. Medical experts told us that they do not have cure for this kind of issue but that we may try again leaving it to the chance. After medical science gave up on us, we tried couple of more times but only to face failures in pregnancy. After being through much agony and grief of loosing children one after other, we felt that we’ve hit the bottom of the pit but right then God encouraged us through His word and ministry of Pastor Joseph Simon. In the year 2016, after 9 years of marriage, God blessed us with twins – a boy and a girl. We praise God for His great mercy as mentioned in Luke 1:58 – “Her neighbors and relatives heard that the Lord had shown GREAT MERCY to her, and they rejoiced with her”. Though we don’t deserve it yet in His mercy God soveriegnly chose to bless us with children according to His will and purpose. Glory be to God alone! !